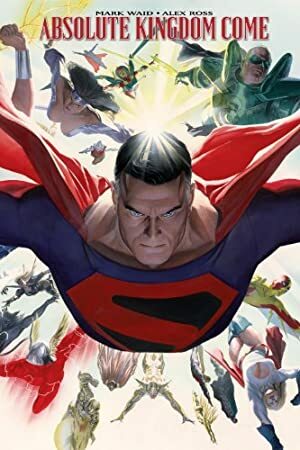 Kingdom Come is a landmark 1996 graphic novel from DC Comics. 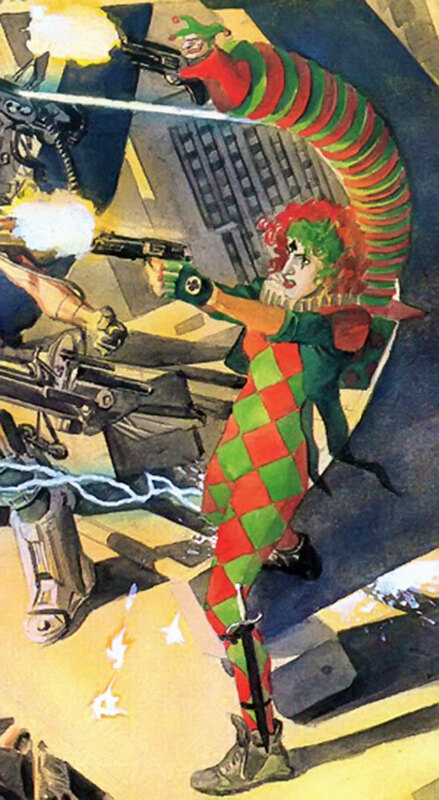 It depicts a possible, dysfunctional near-future of the DC Universe. At times, it had seemed that the contemporary DC Universe was indeed heading toward the Kingdom Come events. Joker’s Daughter is a minor character in that continuity. She is one of the “rumblers” – out-of-control disaffected young superhumans creating chaos and destruction for the flimsiest reasons. The woman known only as “Joker’s Daughter” is not known to bear any direct relation to the deceased madman, nor to the daughter of Harvey Dent, who originally took the name. She took on the trappings of the Joker in a desperate and rather tasteless attempt to gain some amount of respect among the New Breeds. Instead she has managed to alienate herself from all but the most unstable elements of Rumbler society. Joker’s Daughter was saved by Dr. Fate from the destruction at the end of Kingdom Come, and is participating in Diana’s “re-education” program on Paradise Island. Joker’s Daughter decorates herself as outlandishly as the man whose name she took. She wears white clown make-up on her face, and green and red checked spandex. Her hair is similarly green and red, and she bears a number of tattoos. She might be considered attractive if she were not so freakish. On her back she wears a small backpack containing her “Jack-In-The-Box”, a cybernetically controlled accordion like appendage with a small clown puppet on the end. The puppet is capable of wielding a pistol or any other small item. The Jack-In-The-Box was confiscated before her incarceration in the Gulag. Joker’s Daughter is a woman desperate for acceptance and attention, and she will attempt to achieve that through force. Before the events of Kingdom Come she was crude, selfish, and destructive. The events of that story, however, seem to have scared her straight, as it were, and she bears great potential for future growth and development. SPI (depression), Minor Rage, Mistrust. Jack-In-The-Box [BODY 03, Extra Limb (x1): 02]. Pistol (x2) [BODY 04, EV: 04, Range: 05, Ammo: 07 R#03]. Long dagger [BODY 05, EV 03 (04w/STR)].